Fermented Japanese Green Tea (3 years). Effects: blood purification, Stomach detox, skin problems, diabetes, metabolism, heart, radioactivity. Summary: The Sannenbancha (jap . : 三年 番 茶) is a very special Japanese green tea. The selection of older stems, the roasting as well as a three-year fermentation give a very soft, slightly sweet, earthy roasted taste with almost no caffeine and outstanding health benefits for: blood purification, acidification, skin problems (neurodermatitis, eczema, acne, etc. ), heart, type 2 diabetes, the pancreas, metabolism, intestinal diseases, digestive, blood purification from drug use and alcohol consumption, insomnia and loss of oxygen radicals as a result of radiation. It is also particularly suitable for pregnant women, nursing mothers, infants and caffeine sensitive people and can also be used in bathing. The Sannenbancha is also the main macrobiotic tea because depending on the preparation,it has a neutral to strongly pronounced yang character. The Japanese green tea Bancha accounts for about 10% of annual production which makes it after Sencha the second most popular variety in Japan. “Ban” and “Cha” (jap . : 番 茶) translate as “common tea” or “everyday tea”, but it can also be understood as referring to its late plucking. This is due to the fact that the coarser and older leaves of the tea plant are used for its production. In contrast to the young leaves from the first crop, such as those used for good Matcha qualities, these leaves result in a less refined, simpler and lower-priced tea. The leaves of Bancha have special ingredients and health effects, which include in particular a strong de-acidifying effect (Alkaline Tea), it’s a fantastic supplier of minerals and trace elements, and if consumed after infusion, the tea leaves have a strong(especially iron) carminative and an antifungal effect. The Bancha also has significantly less caffeine than Sencha, Gyokuro or Matcha. Further information can be found in the article on Bancha. One special form of Bancha and as such a very special Japanese Green Tea variety is the so-called Sannenbancha (jap . : 三年 番 茶). “San nen” means “three years,” and refers to the roughly unique three-year tea maturation. Sannenbancha has a high proportion of stems (partly 100%) and is in addition, roasted, thus in respect to most other Japanese Green Teas, the process is considerably longer and more complex. The tea has a dark brown color. It is considered a rarity in Japan and the best qualities are highly sought after and always sold out. The tea, as such, is almost unknown outside Japan. Sannenbancha counts similar to Bancha as part of the Japanese Green Teas and is derived from the tea plant Camellia sinensis and var. Sinensis. However due to its special preparation, it yields a fermented tea with very specific health characteristics and a particularly soft, earthy flavor. The tea has been extremely popular in Japan for centuries and is considered the main macrobiotics with many citations from doctors, tea farmers and patients about the positive effect of Sannenbancha. However, there are so far unfortunately no scientific studies on the tea, neither in Japan, America / UK, Germany or France. The following information was therefore researched first hand in Japan and is based on opinions and personal experience with this great green tea. Extensive research has shown that Green tea has an extremely wide range of positive effects on health. The special Green Tea Sannenbancha has outstanding health benefits in the following areas, but especially as a blood purifier. Effective in certain cancers (according to Dr. Naoki Miura, especially for prevention with radioactive radiation by mitigating the oxygen radicals in the blood (Reactive Oxygen Species, ROS); according to the opinion of many macrobiotic Scientists in the US and Japan, Sannenbancha has preventative and positive effects against damage from radioactive contamination. The tea is especially recommended for people who take a lot of sugar, sweets, alcohol, drugs, oils, dairy products, fruits and raw vegetables. It is also very valuable for vegans / vegetarians who consume a lot of Yin-heavy foods. For the treatment of hang-overs after alcohol abuse and blood clearance after drug use (cocaine, heroin, ecstasy / MDMA, amphetamines and marijuana), especially the following day after consumption, Sannenbancha is one of the big three combined healing teas. Depending on the health problems the tea can be prepared in a multitude of ways from a simple infusion to simmering for 45 minutes (see below). It is also often used as savory Cold Tea (Mizudashi) in diabetes. In respect of taste it is smooth, soft, earthy and warm and is characterized by a pleasant toasty aroma. When cold it tastes particularly refreshing, especially in summer. With longer steeping times and higher temperatures it is even stronger and more round bodied. It is more suitable as therapeutic support rather than for prevention, both for everyday enjoyment as well as part of a health “cure”. Sannenbancha has nearly no caffeine content due to the high proportion of stems and the long fermentation. The same applies to the otherwise abundant Tannins found in green tea, which in some cases may have an irritant effect on the intestine and the mucous membranes. The strong positive effects as a general health tea can be even more improved when taken in combination with various other traditional teas. In addition to the various Green Tea varieties there exist in Japan a number of other major Japanese teas renowned for their extremely positive health effects. In Japan and frequently also in the larger Asian region these have been tried and tested for centuries and their health effects are well known and widespread. While the green tea varieties are usually always drunk alone and are not suitable for blending with other teas, the Sannenbancha is an exception. This is especially suitable for blends with herbs, root and tea leaves. Thus, the wonderful ingredients of other major medicinal plants can be combined with the unique materials of green tea, especially the flavonoids and catechins. The right combination of the various great teas produces a synergistic effect which is greatly amplified. One such example is the combination of Sannenbancha, Hatomugi, Tanpoo root and Yomogi which greatly increase support for the kidneys. These general health mixtures of the main Japanese teas are called in Japan kenkōcha (jap . : 健康 茶). One of the key blends artfully combines the refined effects of green tea using the Sannenbanchas (important: significant leaf material is included) and 12 of the most important Japanese teas! Therefore only in Japan are these native plants harmonized particularly well. These famous in Japan but globally little-known Teas are: Amachazuru, Biwa, Dokudami, Genmai, Habu, Hatomugi, Kaki, Kuko, Kumasasa, Sannenbancha, Shiso, Sugina and Yomogi. Kenkocha is a mixture that combines to provide a unique and mutually reinforcing health tea, which has virtually no caffeine, is harmonious in taste, is mild and easy to digest, from the perspective of a macrobiotics ideal is Yin / Yang-neutral, base-forming and offers an extremely wide variety of positive health effects. As such Kenkocha is one of the most effective teas for general prevention and wellbeing. The tea can be enjoyed at any time of day or night and in large quantities. it is by world standards one of the greatest health teas. The secret behind the special health effects of Sannenbanchas is its three-year maturation. Interestingly the number three plays a major role in many similar processes in healthy Japanese foods. This includes the three-year maturation of miso, where a special taste through its ingredients are formed which in turn lead to some very valuable health effects. It is particularly important that the organic teas are created without pesticides, otherwise the fragile fermentation process is put at risk. The tea develops a umami taste, reminiscent of the animal protein (Hacchomiso). The same applies to soy sauce, which also has a 3 year maturation which creates a particularly rich full bodied flavor. The same applies with green tea. The effect developed here during the maturation of Gyokuro and Matcha (called Kuradashi), is particularly appreciated by tea connoisseurs. To optimze the various above-mentioned benefits of Sannenbancha you need to prepare the teas in a variety of different ways. Here, the spectrum ranges from the preparation of Cold Teas (Mizudashi) to the normal “60 ° C, 2 minute” rule right up the allowing the tea to simmer for 45 minutes. All details are described in the article Sannenbancha preparation. Sannenbancha tastes mild, soft, earthy and has a toasted aroma. It is often drunk after meals in Japan to support digestion. The tea has a special umami that is reminiscent of the umami of high quality, fermented soy sauce or miso. Sannenbancha tastes similar but milder than Hojicha and significantly milder than Bancha when prepared with a moderate infusion and drawing temperature. In the teacup the tea shows a beautiful dark brown color. For medicinal purposes the longer brewing time and hotter temperatures mean the taste is significantly more bitter and harder. According to tradition, the Chinese monks brought the method of preparing Sannenbancha to Japan as early as the Tang Dynasty (618-907. BC.) So in its origin its ultimately a Chinese invention, like most main achievements in the history of tea. The original production saw the older leaves and stems of wild teas harvested during the colder seasons (late autumn or winter harvest Bancha, jap . : 秋冬 番 茶) and cut into small pieces. Thereafter, they were roasted and kept in a tea-urn (chat tsubo: 茶壺), which was sealed with various layers of Japanese paper. The tea was then stored in a barn and matured for three years. Subsequently, it could be removed and cooked as required. There are slightly different methods used for the production of Sannenbancha. This is due to the traditional regional differences in Bancha-production and also due to the fact that not everyone wants tea farmers to pay the full preparation costs. Basically, the ideal manufacturing process are as follows. At harvesting only the old leaves and old stems of green tea shrub are taken (at least three years old). Often Sannenbancha-tea farmers have to purchase these from other tea farms, because these particular leaves and stems are in limited supply. They are then, as usual with steamed Japanese green tea, gently steamed to stop oxidation. The tea is then cut into small pieces and dried. During the drying process today usually special machines are used. Traditionally, however, the tea was dried in the sun to improve the tea qualities. The most essential feature in the production of Sannenbancha is the subsequent three years fermentation. Due to the shortage of tea, it is not uncommon however that tea farmers shorten the ripening period to 1-2 years. However, this produces significantly less health effects. In the final step the tea is roasted. 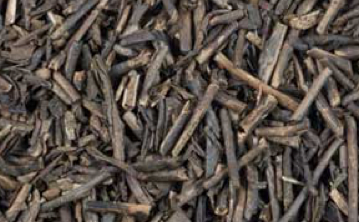 The green tea Hojicha is roasted in the same way, but is harvested usually from younger leaves and stems, a smaller number of stems in relation to the blades and is not fermented. Ideally, the leaves and stems are roasted separately, otherwise they achieve different roasting results for Sannenbancha. For this reason, many tea farmers even only use 100% stems. For health purposes it is better to drink Sannenbancha with contains both significant leaf and stem proportions. Depending on the manufacturer the ratio of stems and leaves in the tea can vary greatly. From a health perspective, I recommend alternating a Sannenbancha with significant leaf ratio of 20-40% and a Sannenbancha which contains only stalks (100% stems). The higher the stem proportion the lower the caffeine content and the stronger the yang character. For the various health applications, it is advisable to alternate the different versions. The Green Tea Hojicha and Sannenbancha are basically quite similar. In both teas the Bancha, ie coarser, later leaves are harvested. Both Hojicha and Sannenbancha are roasted at the end of the manufacturing process, which accordingly gives intense aromas and allows for better digestion. The main difference, however, is that in Sannenbancha only the very old leaves and stems are used and the fermentation is carried out for three years. The top manufacturers of Sannenbancha in Japan are often sold out due to its great qualities and the increasing demand for its specific health effects. Some farmers have therefore begun to reduce the tea fermentation to only 1-2 years which significantly reduces its special effect. The most important regions for the production of Sannenbancha are Kyoto (here especially Uji), Kumamoto, Shizuoka, Kagoshima, Mie, Nara and Shiga. The best qualities are achieved through the harvesting of the high-quality old-Bancha leaves and stems found at the bottom of the tea plants. As per other Green Teas, the right soil, the right location and the right climate are a prerequisite for high quality. As an absolute must for producing the best health effects, the use of organic quality or pesticide-free cultivation is essential as pesticides would interfere with the major fermentation process significantly. Sun drying should be prefered instead of a drying machine, but almost impossible to find in the market. In Sannenbancha the tea is matured a full three years and the leaves and stems are roasted separately. Traditionally roasting ideally takes place over an open fire using Japanese chestnut oak (Quercus lat . : acutissima, English: Sawtooth oak). It ensures a particularly uniform fire, however nowadays almost all manufacturers use, understandably, roasting by electrical machinery or strong infrared radiation. Sannenbancha has similar ingredients to Bancha, not just the important flavonoids, but in particular also the very healthy polysaccharides (Metabolism and Diabetes 2) which are not heat stable and as such only valid when the tea is prepared in cold water. In addition, the tea has the provitamin C, a precursor of vitamin C, which in contrast to the heat-sensitive vitamin C, is not damaged when cooked. The Sannenbancha also contains the highly prized Green Tea catechins, but to a lesser extent. Tannins, which can cause irritation of the gut and can burden the liver in some cases are present only in very small doses. It also contains the numerous special bitter substances that are formed in the tea due to the fermentation. These, however, are still largely unexplored. Overall, Sannenbancha has a strong basifier that helps greatly against acidification (see FIG. 2), aids the liver and kidney and strengthens blood purification in combination with other green teas. The caffeine content in Bancha tea stands at about 1.5-2% which in relation to its anhydrous mass is already significantly less caffeine than Sencha’s 1st plucking which has about 2.3 to 3.2%. Sannenbancha on the other hand, has an even a higher stem content and through its 3 year fermenation loses a large portion of caffeine. The caffeine content in Sannenbancha is to estimates only 0.5% and with a pure stems proportion almost close to 0%. As such it is well below the levels found in Kukicha and Hojicha tea. Sannenbancha is the Japanese Green Tea with the lowest caffeine content and is regarded as extremely friendly and mild. It can be drunk by pregnant women and nursing mothers as well as infants and caffeine sensitive people. An overview of the caffeine content of the different teas and other beverages can be found in the post Caffeine Content in mg. The founder of modern macrobiotics Yukikazu Sakurazawa (English name: George Osawa) was a big supporter of Sannenbancha due to its basifer and Yin/ Yang properties (depending on the formulation, the Yang can be significantly pronounced). The Japanese term for macrobiotics is “shokuyo” (食 養). Sannenbancha was known as Shokuyocha (jap . : 食 養 茶), or Shokuyobancha (jap . : 食 養 番 茶), which can be translated as Macrobiotic tea or -Bancha, which is widely traded in Japan. Today, the production of tea has slightly changed, but the principle remains the same. Bancha and especially Sannenbancha are considered the central teas of macrobiotics. The principles of Macrobiotic follows – like some other nutritional and healing philosophies – the doctrine of the harmony of Yin and Yang Chinese elements. Only when yin and yang are balanced in the body, the necessary harmony for the maintenance or achievement of health is given hereafter. Initially the concept of Macrobiotics was more popular in the US, Canada and the UK, but lately it is now increasingly more popular in Japan and it is reported that even the imperial family strictly follows its guidelines. The different foods have different strength characteristics of the Chinese elements Yin (cold, female, expansion) and Yang (male, contracting, warming). Green tea is generally considered Yin-heavy and thus in Traditional Chinese Medicine (TCM) seen as “cooling”. However when examining all the different varieties this is too limiting and not entirely accurate. Yin is most pronounced in the young leaves and buds of the tea plant first crop. This applies, for example, for varieties Gyokuro, Matcha and Sencha (first harvest). Subsequent harvests and coarser leaves, as in the Bancha, already have an almost balanced yin and yang relationship. Teas with large stems such as Kariganes and Kukicha tend to Yang. Also roasted teas like the Hojicha (slightly Yang) but also Genmaicha (roasted rice share, significantly Yang) are yang-heavy. The Sannenbancha depending on preparation and leaf share has a Yin / Yang balance tending to strong yang-heavy. 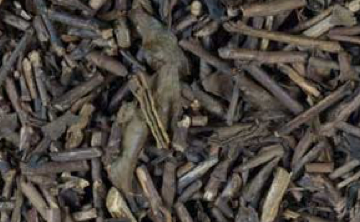 The strongest Yang is developed in Sannenbancha if it originates from three-year-old plant parts, consisting only of stems, which have been roasted and then for 3 years fermented. This strong Yang property can for people with excessive Yin-values have particular health benefits. High Yin-shares can be found in the following foods: coffee, alcohol, sugar, chocolate, chemical additives, fruits, nightshade plants, tea, milk, yoghurt, refined grains, finished products, green leafy vegetables etc.). Accordingly, an unbalanced diet, stress and certain diseases lead to a Yin-Milieu. It is also important that supposedly very healthy vegan or vegetarian diets reach a large Yin overload when lots of raw green leafy vegetables, fruits, dairy products and Yin-heavy teas are consumed. The Yin / Yang consideration also explains why it is necessary when taking advantage of the many health benefits found in Green Tea to ensure you drink a wide range of teas throughout the day. In the basic package, I recommend for this reason also the distinct yin teas Gyokuro and Sencha (morning and afternoon) as possible with a balanced yin / yang tea (Bancha, Genmaicha) or a stronger yang tea Sannenbancha to combine in the evening. Here, these teas are not subject to an aggressive expression but develop the Yang-character in a rather more rounded and harmonious form. People who suffer from Yin overloads can be brought back to balance by drinking Sannenbancha. This effect can be enhanced (see recipes below) by the addition of other, especially fermented Japanese medicinal food such as three years fermented soy sauce, miso, umeboshi, ginger and natural salt. To strengthen the yang effect and aid against specific diseases, macrobiotics offers some special recipes with Sannenbancha and other fermented natural resources. Individual recommendations can be found in post Sannenbancha Macrobiotic Recipes. At harvest, using only the old (3 years) stems and leaves at the bottom of the tea plant.